My new book is now available on Amazon.com! As some of you may know, my company, DVA, is a well-known distributor of DVDs and other media. Over the years I’ve been approached by many friends and associates needing advice on how to get their movies both on DVD and onto retail shelves. I wanted to produce a guide book to help share my years of knowledge and expertise, so that every independent film maker would know the pit falls to avoid, and the key areas to spend their time and attention. 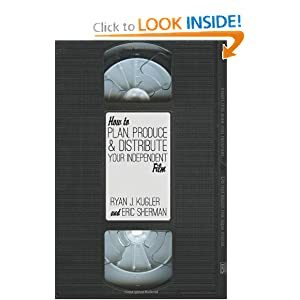 A few years ago, I got together with my good friend Eric Sherman who has written many books on producing independent films, and we decided to co-write a book on the film making process, focusing on distribution. Eric and I made a handbook for the independent producer of the 21st century. How do I get distribution? Should you distribute your own film? How do you get your film onto Wal-Mart shelves? What are the most important things a retailer looks for in a DVD? Where’s the money in Digital Downloads? All the questions listed above, and many, many more, are answered in our book.